Award-winning poet, author, playwright, historian, songwriter, singer, dancer, stage and screen producer, director, and civil rights activist: Dr. Maya Angelou needs no introduction. 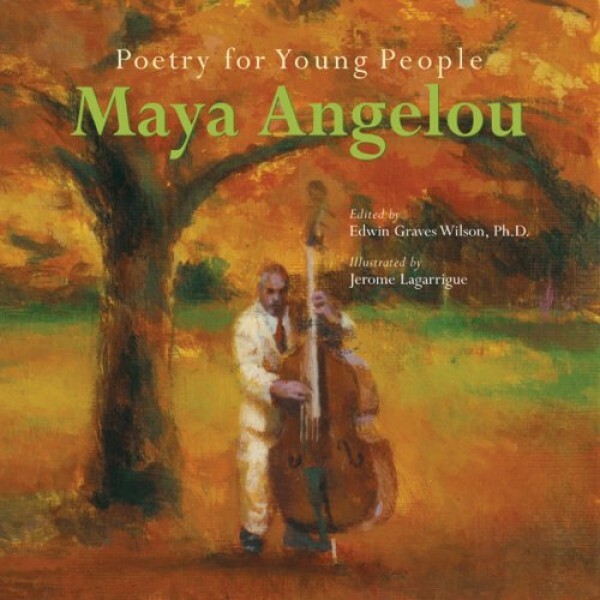 She is a true American icon -- and now she is the first living poet included in Sterling’s celebrated Poetry for Young People series. Twenty-five of her finest poems capture a range of emotions and experiences, from the playful Harlem Hopscotch to the prideful Me and My Work to the soul-stirring Still I Rise. While her writings deal with the historic struggles of African-Americans, they all resonate with spiritual strength and hope for the future that everyone can relate to. A special inclusion in this volume is A Brave and Startling Truth, written to commemorate the 50th anniversary of the United Nations. Award-winning artist Jerome Lagarrigue masterfully illustrates each verse with evocative, stunning pictures. To discover Mighty Girl books about other remarkable women writers, visit our Writers / Poets section in Biographies. Maya Angelou is an award-winning poet, author, historian, songwriter, playwright, dancer, stage and screen producer, director, singer, and civil rights activist. Her books include the bestselling autobiographies I Know Why the Caged Bird Sings and Just Give Me a Cool Drink of Water 'Fore I Die, nominated for a Pulitzer Prize. She received a Tony-award nomination for Look Away, and in 1993 won a Grammy for Best Spoken Word Album for On the Pulse of Morning. For more than 50 years, Dr. Edwin Graves Wilson has been a much-admired educator at Wake Forest College, from which he graduated before going on to receive his MA and PhD from Harvard University. He has served as Provost at Wake Forest, as well as Dean of the college and Senior Vice President, and also received an honorary Doctor of Humane Letters from Campbell University. Wilson has served on many councils and boards, including the Carolina Arts Council, Piedmont Opera Theatre, and Museum of American Art. Jerome Lagarrigue won the Coretta Scott King-John Steptoe award for best new talent and the Ezra Jack Keats award for best illustrator for Freedom Summer (Simon & Schuster). He was also awarded the Miriam Vanett Ridgway award for best illustrator for My Man Blue, published by Penguin, and was the recipient of the prestigious Villa Medicis grant and residency program in Rome.